California congressional candidate José Hernández (D) will be able to call himself an “astronaut” when his name appears on the ballot, a judge ruled Thursday. The ability of the former astronaut, who flew on a space shuttle mission, to list that profession on the ballot was challenged by a law firm with ties to Republicans in a state court this week. Judge Lloyd Connelly dismissed the firm’s argument that “astronaut” not appear on the ballot because it had not been Hernández’s primary profession for over a year, the Los Angeles Times reported. Hernández, who is challenging freshman Rep. Jeff Denham (R), publicly called attention to the suit this week. 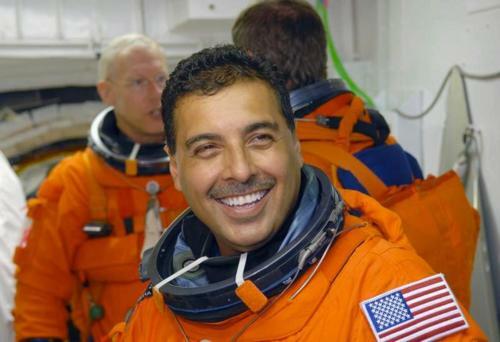 In an interview with Univision News, the ex-astronaut said it made him “flabbergasted,” blaming it on his opponents who felt threatened by his personal background. “I’ve heard in reports that they probably did some type of polling and they found that referring to me as what my career was last, which was an astronaut — that they probably didn’t do too well. So they are throwing everything including the kitchen sink at us,” said Hernández. Denham had no official role in the suit, but the law firm that brought the suit to court, Bell, McAndrews and Hiltachk, has been paid by the congressman’s campaigns in the past for legal services. The firm criticized the ruling in a statement to the Times. “Allowing a candidate out of nowhere to use the profession of ‘astronaut’ when he hasn’t served in that profession recently, is akin to allowing someone to use a title of ‘sailor’ when they no longer own or operate a ship,” spokeswoman Jennifer Kerns said in a statement.